I leave for another road trip to Balranald early Tuesday (11th September) morning. I need to build up some large format images for the forthcoming collaborative Mallee Routes exhibition at the Murray Bridge Regional Gallery early in 2019. I just don’t have enough work for this last collaborative exhibition, and I need to make the pictures before it becomes too hot to photograph in the northern Mallee. 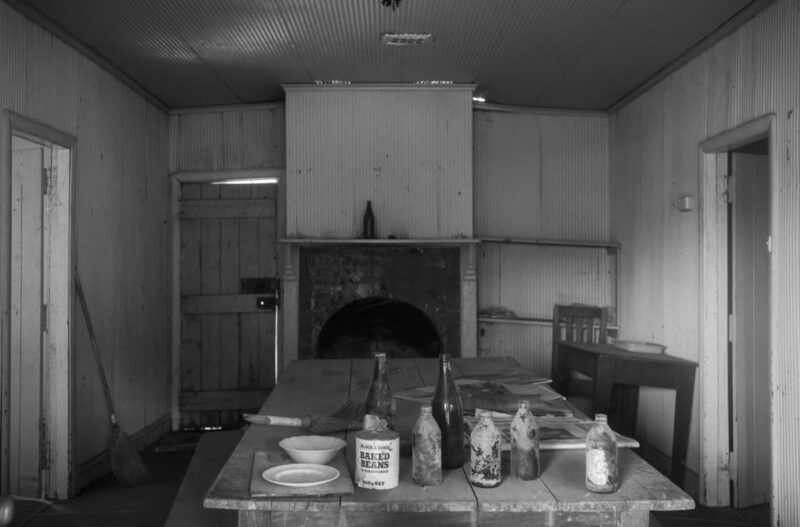 I plan to camp at Balranald, as I did in early August, so that I can easily access and concentrate on photographing in and around the Yanga Woolshed as well as along the banks of the Murrumbidgee River in Balranald itself. 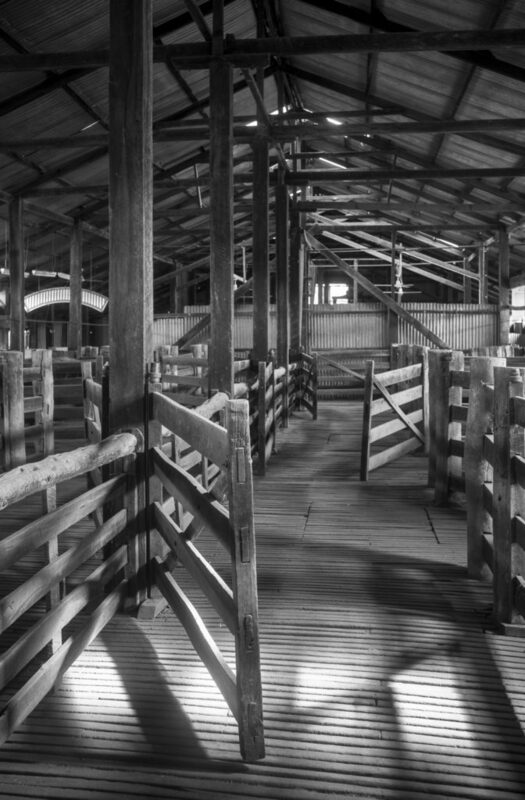 I converted the scoping images on the computer screen from colour to black and white because the interior of the woolshed does suit black and white. It is also appropriate–more appropriate than the digital colour images I made, which tended to make the woolshed look too touristy. 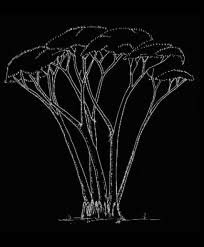 Woodsheds, similar to this one, would have been photographed in black and white in the early 20th century, so the blackk and white is reference point to the pastoral history. 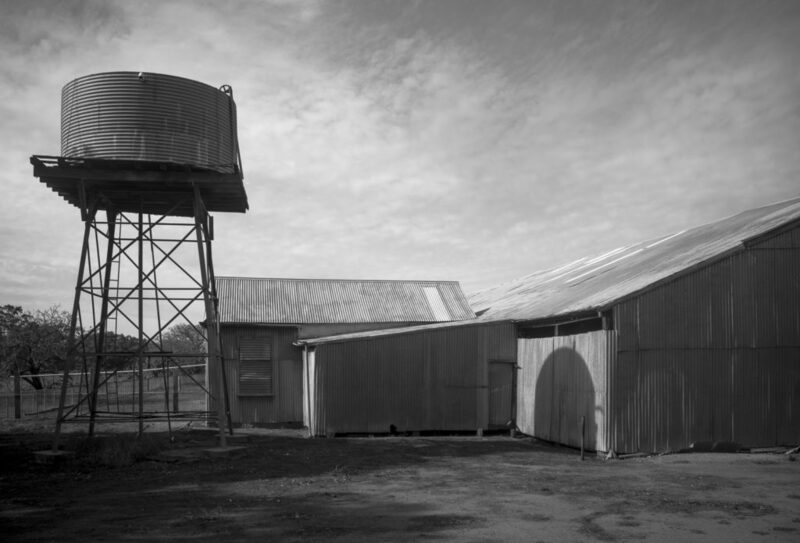 I am interested in the Yanga Woolshed because it is the only historical example of pastoralism in the Mallee that I have come across up to now— I have yet to visit the ruins at Box Flat and Bucks Camp in the Ngarkat National Park in South Australia. A four wheel drive may be necessary to explore that park, given the sandy tracks, and as I don’t have this vehicle, I may never get there. The Yanga Woolshed allows me to reach back into the past beyond the current Mallee country, which is primarily about, corporate farming, agriculture and wheat. It thereby offers a different historically perspective on the Mallee than the empty buildings and ruins in the de-populated small country towns along the Mallee’s major highways. I have also given myself enough time to re photograph the exposed tree roots of the river gums along the banks of the Murrumbidgee–more or less picking up from where I had left off on the August photocamp with Gilbert Roe. I basically ran out of time on this camp to re-photograph some of the exposed tree roots that I discovered when I was on a nature walk along the banks of Murrumbidgee near the swing bridge in the Balranald township.